Mince the garlic and Saute. Blend the carrots and sauteed garlic in the blender or Vita Mix. Add blended mixture to the tomatoes or tomato sauce. Add barley, 1 cup water and cook for 20 minutes. 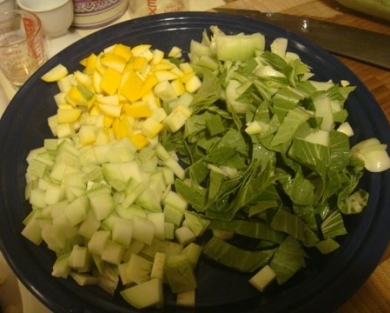 While soup is cooking, saute the bok choy and the summer squash. over medium heat until soft. Add salt, pepper and coriander. 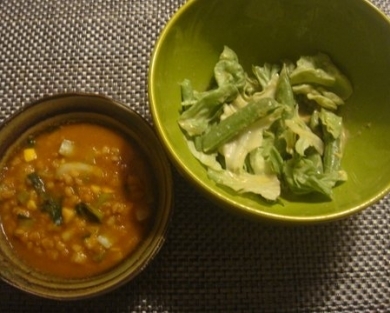 When the barley is soft enough add the sauteed vegetable into the soup. 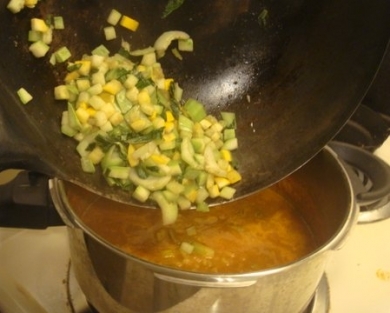 Adjust the flavor with orange oil and a splash of coriander.